The fight against corruption is a key element in the development of relations between the EU and Ukraine. 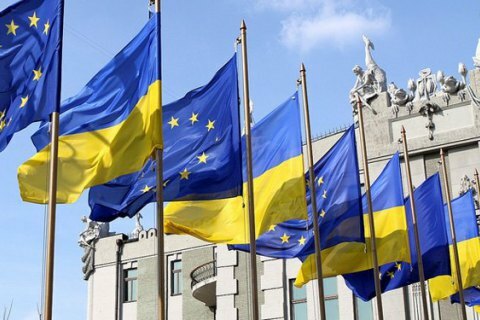 The European Union calls on the Ukrainian authorities to intensify efforts to ensure the independence and effectiveness of anti-corruption bodies, the European Union’s External Service wrote in a statement on Tuesday. The statement said that the public disclosure of acorruption investigation by Prosecutor-General's Office significantly weakens the capacity of the National Anti-Corruption Bureau (NABU) to effectively investigate and undermines public confidence in the effective fight against corruption. The European Union called on Ukrainian authorities to reinforce efforts to ensure the independence, operational capacity and the full effectiveness of anti-corruption agencies. "The work of these institutions should not be undermined but reinforced," EU said. The European Union stresses that the fight against corruption is a key element in the development of relations between the EU and Ukraine, upon which the success of other reforms rests. The Prosecutor-General's Office earlier has reported serving suspicion notices to two employees of NABU. Prosecutor-General Yuriy Lutsenko stated that all NABU agents act outside law. On Tuesday, the US State Department issued a statement in which he stood up for the National Anti-Corruption Bureau of Ukraine.